My three-year old son is a fan of the Disney Jr. series PJ Masks. Yes, I realize that the premise of three Kindergarteners utilizing the power of evening-wear to fight crime is absurd, but the heart wants what the heart wants. I digress. So between the multiple copies of the catalog we received at our home and the holiday activities he performed at school, he compiled a very important list that he showed Santa. 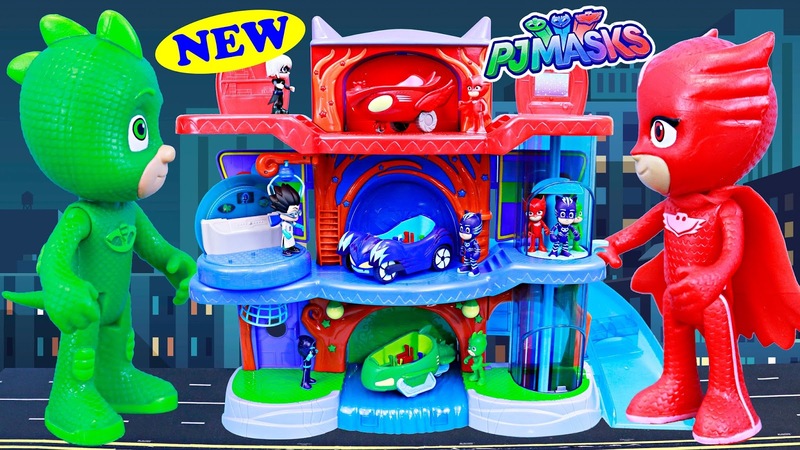 One of the items that made the Santa short list was the PJ Mask Headquarters Playset (Item #579374). Given that there were several big ticket items on Santa’s shortlist, St. Nick made an executive decision to provide The Lion Guard Training Lair Playset (Item #432302) instead. While this proved to be well-received, Chris Cringle had apparently not picked up on the subtle indications that the PJ Masks Headquarters was at the top of his holiday hierarchy. He expressed some disappointment on Christmas morning, but the whims of a three-year old are fickle. Just as we had finished reinforcing the ideas of choosing to focus on all of the gifts we received rather than the select few that were omitted, there was an unexpected reprieve. His great-grandparents had sent a card with a generous amount of cash for him to spend. Immediately he latched onto the idea of taking this money and purchasing the PJ Mask Headquarters Playset (Item #579374) he had been pining for. The next day we drove to our local Toys R Us, rushed to the PJ Masks section, and were disappointed to discover that the item was not in stock. Believing that there is no way that a pre-schooler would walk out of a toy store with money in their pocket, I asked him to look and see if there was anything else that he wanted. He browsed in earnest but finally came back to me and declared that he would rather wait for us to order it than get anything else. “Don’t worry,” I consoled my son; this is a multinational corporation and I am sure we can have it shipped to the house in no time. So I opened the website on my phone, went to the item and selected Checkout. When I enter my zip code, I was told that they cannot send it to my home. Undeterred, I restarted the process and tried to select the “Ship-to-Store” option. This was also unavailable. Somewhat miffed, I walked up to the customer service desk and spoke to an employee. I was informed that not only was the item not available to ship to my home or store, but that it could not even be shipped to a store within 100 miles of my location. They added that they were not sure if they would ever get the item back in. When we got home, I opened the chat window on the Toys R Us website and explained my dilemma. I was told that what I experienced was a glitch and that I simply needed to call the customer service line and have an attendant place the order for me. Me: So I cannot send it to my house and you will not send it to a store within four hours of my current location? Her: As you can see on the website that item is not available for “Ship to Home” so you will need to select the “Ship to Store” option and chose a Toys R Us location that the item can be shipped to. Me: The only store in my state that I can ship to is 5 hours away and already has it in stock so why would I want to ship it to store that already has it? Her: I realize that it might be inconvenient…. Me: Across town is inconvenient, an 800-mile round-trip qualifies as a quest. Me: Am I to understand that the official recommendation of Toys R Us customer service is for me to call up my second cousin and ask him to do me a solid by fronting me the $85 to purchase and ship one of your products? Her: It was just a suggestion..
Me: Let’s start again. Let’s say that I want to hand your company $75 in exchange for an item that they sell. How do I go about doing that? Me: What about a transfer from another store? Her: We can’t do that. Me: Can you request one be sent to my store on the weekly shipment? Her: Sir, I know it may seem odd, but as someone who has worked retail I can tell you that there is no way for us to control or predict what gets shipped to what store. I made several other feeble attempts to procure the playset and aside from phone-a-relative the only other option I was given was to call the local store back and have them “leave a note” to call me if the enchanted delivery truck saw fit to bestow one upon my city. Finally accepting defeat, I was able to locate one on Amazon at $30 above retail – probably sold by someone who lived in one of the zip codes favored by the sorting hat – but it was still cheaper than an overnight trip. So I swallowed my pride and ordered the item. 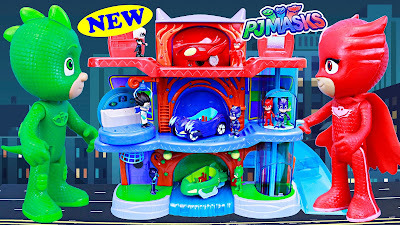 I told my son that in two days he would be the proud owner of a PJ Masks Headquarters Playset (Item #579374). So after two days, imagine my mild chagrin when I was informed that there was a delay in the shipping of my “Two-Day Prime Item” and instead of 2 days it would be two weeks. I cancelled that order, found another one at the same price, and it should be here tomorrow. While writing this, just for funsies, I got on Toys R Us’s website and when I put in my zip code they offered to send it to my home and cover shipping costs. I am toying with the idea of ordering it from them, defecating in the box, and returning it for a refund…….. I can attest to the absurdity of Toysrus shipping policies as well. We purchased a crib online on Black Friday three years ago for our soon to be born daughter. It was supposed shipped to store. Our local Toysrus in Jackson finally received the item after nearly three weeks. During that time, I had to contact customer service an untold amount of times. A week had passed after getting original shipping notification and nothing was updated. What transpired next could best be described best as complete chaos. Customer service assured us it was on the way, but after several days of nothing and a call to another representative later we were told that it might have never been shipped to begin with and we may never receive the crib. I eventually got the notification that the crib was in the store and was able to pick it up. The whole process was absurd.